These Newest Design heads have made a great head even better! We've seen a 10-15HP improvement over the originals. These heads cover the range from 454 through 582 CU IN. Looking for extra power at a reasonable price? 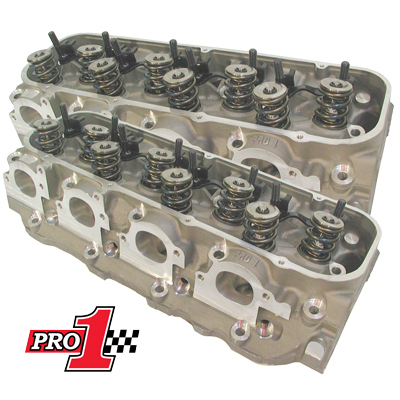 Add the CNC option for a 25HP increase for only $395 ! Available in 310, 325 or 345cc versions. 1.650" x 1.800" Raised .300"